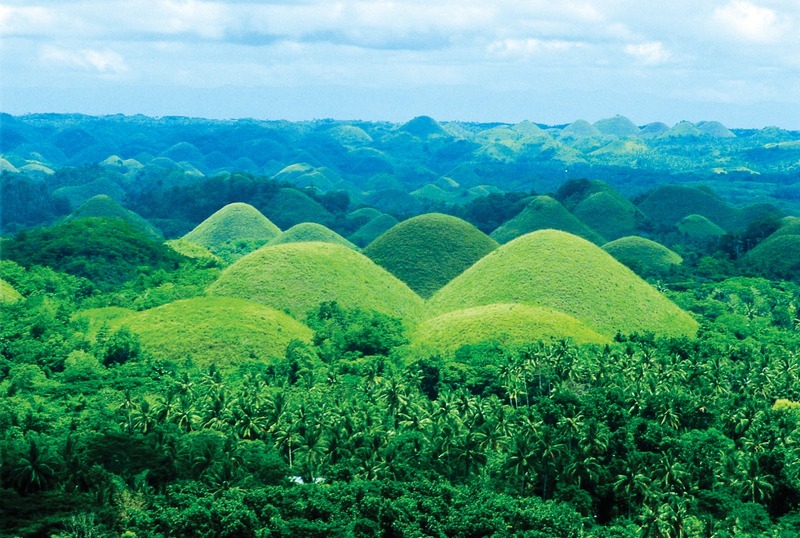 Chocolate Hills in Bohol, Philippines -- But Why The Name "Chocolate"? 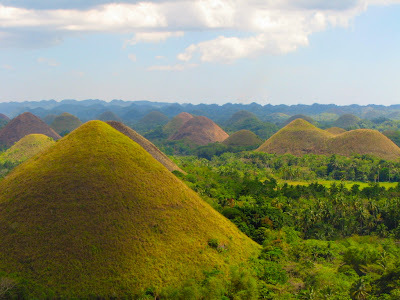 The Chocolate Hills in Bohol, Philippines is a strange geological phenomena of more than 1,700 small hills spread across an area of more than 25 kilometers (or 15 miles). The famous tourist attraction is located in central Philippines in the Visayan islands. So why the name Chocolate Hills? Are there cocoa plantations there? No, not exactly. In the rainy and cool seasons, the hills are covered in green grass. 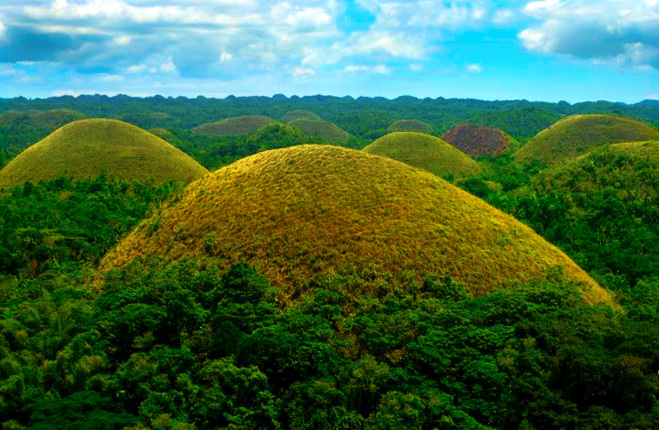 But the color turns brownish when the dry season starts, and thus the name - Chocolate Hills. More than anything, the name is just a catchy way of encouraging tourists to come visit, and all agree that it's worth it. To get to Chocolate Hills, it's very easy for locals and foreign tourists. From Manila or Cebu, you can take a 1-hour domestic flight to Tagbilaran airport in Bohol province. Philippine Airlines, Cebu Pacific Air, and Zest Airways all fly there. You can also take a 2-hour boat ride from Cebu non-stop to Tagbilaran. Upon arrival, go to the integrated bus terminal in Dao and catch a bus going to Carmen. 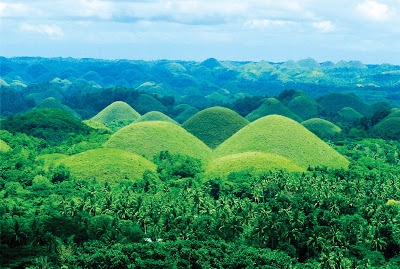 Be sure to ask the driver to drop you off at the Chocolate Hills complex, about 4 kilometers before the town of Carmen. From there, it is a 10-minute walk along a road winding up to the complex.